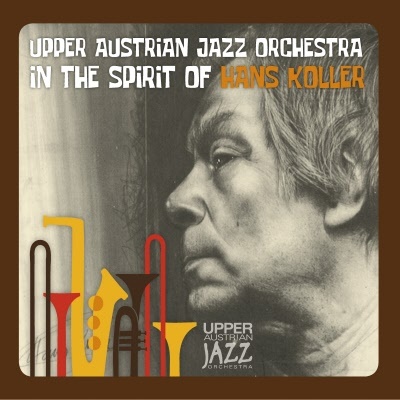 Hans Koller was the first austrian jazzmusician who already had international repuatation in the eary 50ies. He was one of few, who found his own voice in respect of the inspiriation through american jazz. After his „escape“ from austria in 1950 he was, after a short while in munich (Freddie Brocksieper & band), soon head of legendary bands including musicians like Jutta Hipp, Albert Mangelsdorf, Karl Sanner und Roland Kovac. If as a guest soloist in bands of Dizzy Gillespie, Stan Kenton, Benny Goodman, the SWF BB with Eddie Sauter or at his own projects with Oscar Pettiford, Attila Zoller and Martial Solal, Koller found his own voice also through his intense activity also in graphic art. Painter´s Lament“ is also the name of a Koller composition written for 6 saxes. In the early 70ies he went back to Vienna and developed his own band projects like .„Free Sound“, „Super Brass“ (f.i. with Kenny Wheeler, Herbert Joos, Wolfgang Dauner and again Albert Mangelsdorf) and he experimented with large saxensembles in different line-ups. 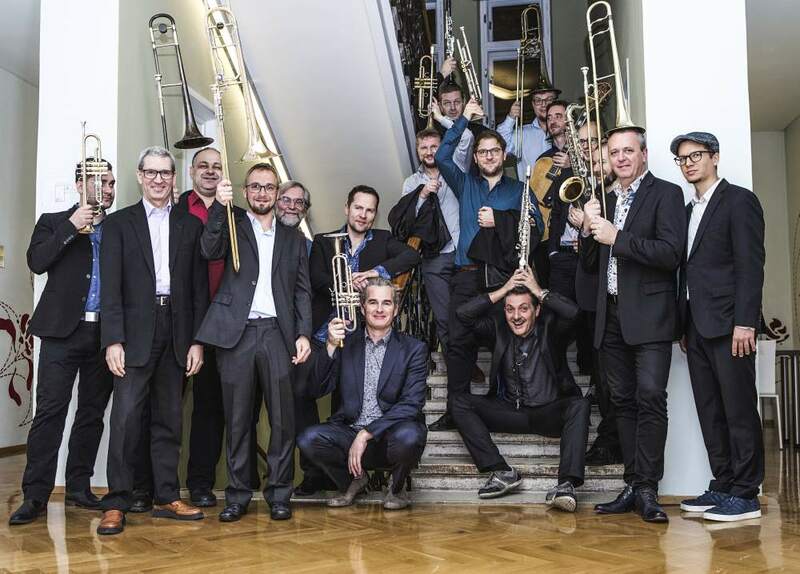 Kenny Wheeler was the first guest and quasi mentor of the UAJO and the concert celecbrating Hans´ 80 birthday with Saxofour, Paul Urbanek and Hans himself brought our motivation to do a program that has this most important austrian jazzmusician of the early years in focus. Klaus Schulz, he wrote the biografical book about Hans and was his friend, manager and also very important fort he development of the UAJO as a creative collctive ensemble, was shortly before he died very delighted about our idea of the program and supported us with ideas and impressions about his relationship to Hans. Compositions of different phases of his artistic live build the base of the artistic reflexion of his legacy. 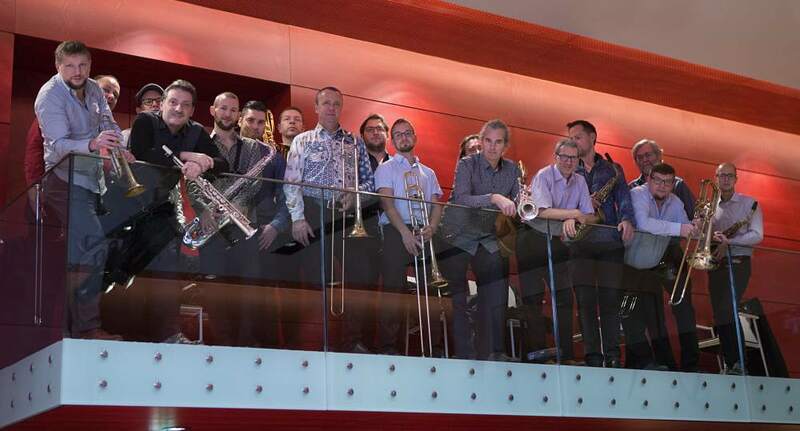 The UAJO and the composers and arrangers of this formation will present facets and fragments out of his enormous works. „I was a street guy and did not know anything about art. My father was a locksmith at the gasworks, he said you can play with Koller, he ist the king. When I was 19 he took me in his band in munich. Then he fired me. That was wright, I was not good enough. Hans is my mentor. He was one of the most famous artists in Austria. He and Ben Webster were the biggest drinkers I ever knew. Hans, do you remember, you once drank 100 Cognacs. Hans is incredible, he is a kind of human being. If a jazzmusician plays the same as 40 years ago, he is playing 40 years worse. Standstill in jazz means step backwards.